The RGT915 works 2 ways. UNLIMITED LIVE REAL-TIME WEB TRACKING. 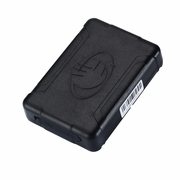 your smart phone and it will open and show the tracker current location. current location and history log. US Based Tech Support. Reach a human nearly 24/7!! Detailed Address logging. Logs and saves all starts and stops. Each trackers is 100% tested in The US before shipping. 3. GPRS location tracking via time interval. Copyright � 2015 Jovision USA All Rights Reserved.